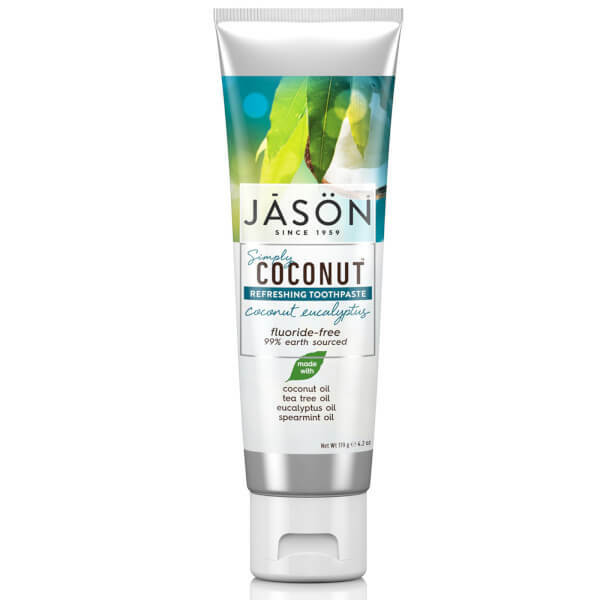 Achieve a sparkling smile with JASON Simply Coconut Refreshing Coconut Eucalyptus Toothpaste, a fluoride-free formula made with 99% earth sourced ingredients. 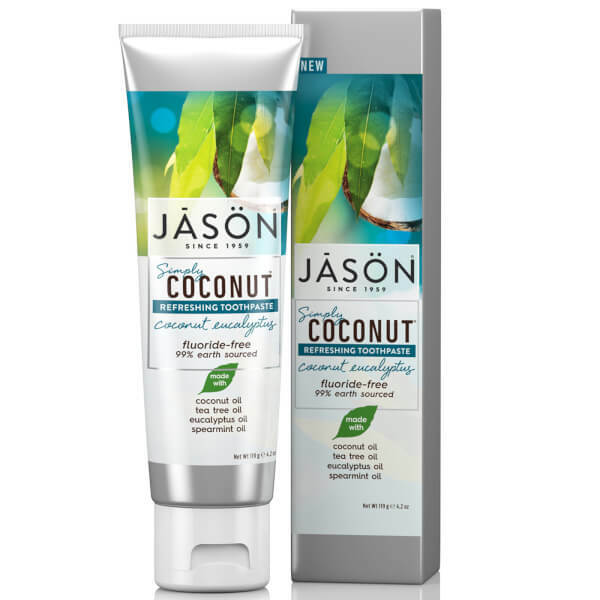 Virgin Coconut Oil works alongside Spearmint, Eucalyptus Leaf and Tea Tree Oils to gently clean the teeth and gums without causing irritation, whilst the minty scent freshens the breath. 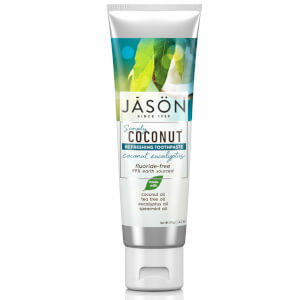 Free from parabens, SLS, gluten, fluoride, artificial colours and sweeteners. Adults and children 2 years of age or older should brush after each meal (or at least twice a day, or as directed by a dentist or physician). Children under 6 should use only a pea sized amount of paste and be supervised as necessary. For children under 2, check with a dentist or physician before using. Glycerin, Aloe Barbadensis Leaf Juice, Calcium Carbonate, Sodium Cocoyl Glutamate, Aqua (Water), Cocos Nucifera (Coconut) Oil, Eucalyptus Globulus (Eucalyptus) Oil, Melaleuca Alternifolia (Tea Tree) Leaf Oil, Mentha Viridis (Spearmint) Oil, Bambusa Arundinacea Stem Powder, Commiphora Myrrha Resin Extract, Cellulose Gum, Sodium Bicarbonate, Natural Flavour.